We have been to expand the solutions business to eliminate the trouble related to the concrete more than 30 years. From the experience, it has succeeded in the development of flat plug Resin (FPR) that can fundamentally solve the various drawbacks of concrete. We contribute to our customers around the world including Japan. 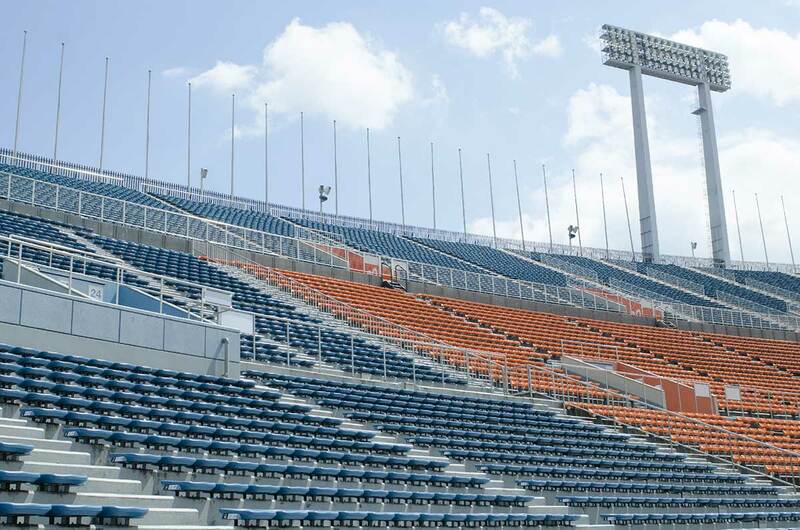 we are responsible for the small renovation of a few square meters to renovation of large stadium. Flat plug Resin (FPR) was developed in the hands-on approach. the construction period has been significantly shortened. But FPR had a great potential for more than we had thought. "no firing bricks". We continue to develop and experiment every day. we will continue to grow along with the FPR. ECO5000 is a cement admixture to solidify soil, mud and incinerated ash. It is possible to manufacture a non-firing bricks. FlatPlugResin (FPR) 2000 is high-performance water reducing agent of concrete. It gives high fluidity/reinforcement of concrete.